The new Custom EX alto saxophone has had a complete overhaul of the key layout. Changes to the Front F key shape and mechanism, a position change of the left-hand palm keys, left-hand table keys, right-hand side keys and right-hand pinky keys offers a smoother playing experience giving players more confidence when performing. With the new, more ergonomic key layout design, the new Custom EX gives players unrivaled comfort and makes hand adjustment easy and almost stress free. During the design process, Yamaha experimented with new methods for producing the bottom bow of the instrument. The diameter of the low C and D toneholes has been reduced and Yamaha’s unique acoustic annealing process has been applied to enhance low note playability. Resistance is consistent throughout the instrument’s range. 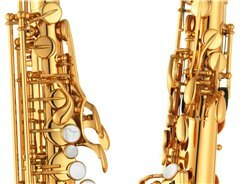 Yamaha saxophones are renowned for their fantastic intonation and the new Custom EX is no different. Yamaha have optimised the tonehole sizes and positions which has meant that the intonation on the new instrument is better than ever. 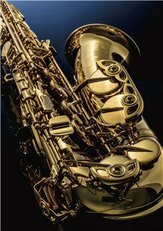 ​The Custom EX saxophone features a new ‘lily’ engraving design which is hand engraved on every instrument. 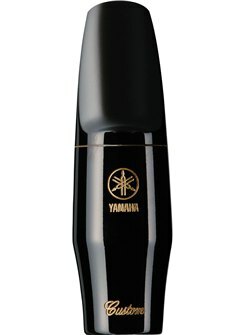 The Custom EX saxophone is complemented by Yamaha’s redesigned Custom ebonite mouthpiece. The baffle, chamber, and other areas of internal design have been re-designed for greater projection as well as soft, beautiful tonality. The shape of the tip has been modified for increased comfort and easier embouchure control.